I really enjoy cooking with my kitchen gadgets and appliances. 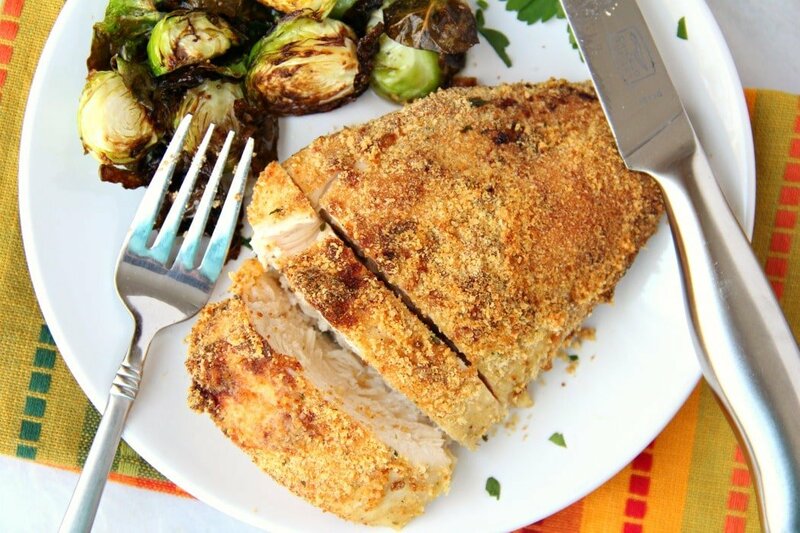 I made this list of 10 Air Fryer Chicken Breast Recipes because I love good food, obviously. These Air Fryer Chicken Breast Recipes will quickly become favorites for your home like they did mine. Can you cook chicken in an Airfryer? You absolutely can! The Air Fryer has swooped in and made whipping up appetizers, desserts, and even dinners easy-peasy. Today I wanted to share a few Air Fryer chicken breast recipes with you guys. The way the Air Fryer cooks the chicken is unbelievable. It gives you that crunchy skin with an extra juicy center that leaves you to lick your fingers clean. Cooking chicken breasts in Air Fryer is the way to go. The Air Fryer cooks your food by circulating the hair air around your food. It is very similar to the cooking method of a deep fryer, but you don’t use the oil. And cooking without oil alone makes it better for you. You put your food on metal racks so air circulates on the top, bottom and through your food. It can give you that crispy outside layer while locking moisture in the meat for that juicy and tender aspect. A lot of people use Air Fryers to help get that fried food taste without the oil, and I have to attest the Air Fryer is amazing. 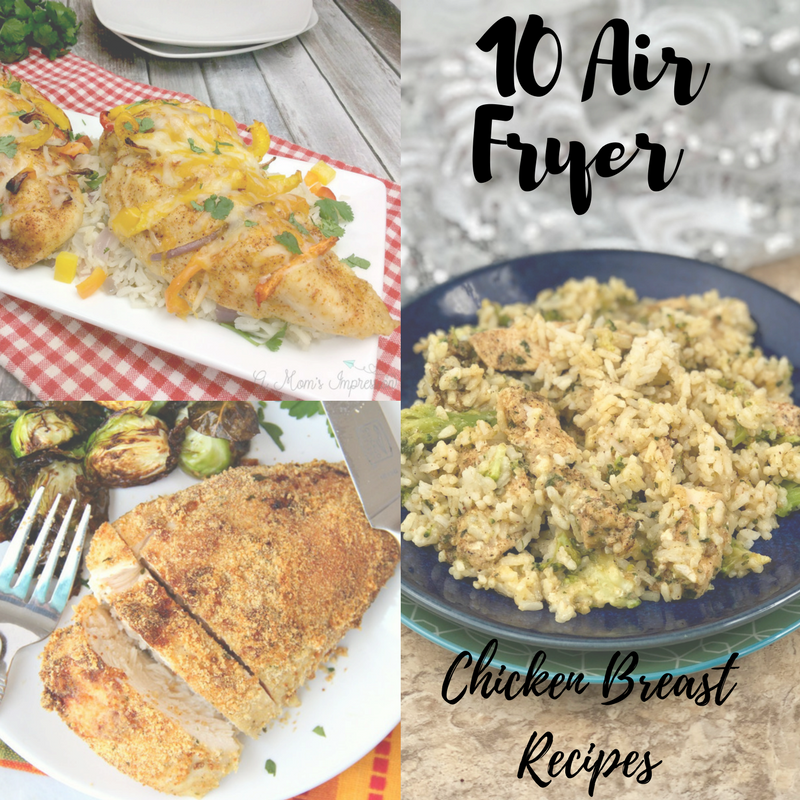 I use it for so much, but my favorite dishes to make are air fryer chicken breast! 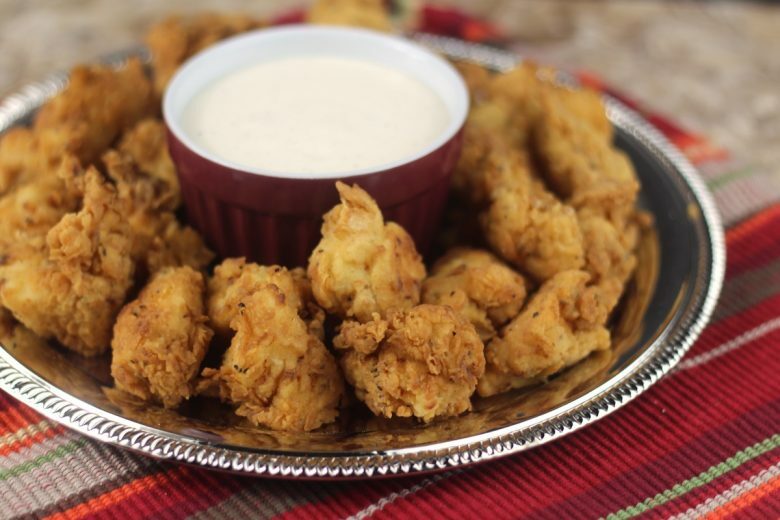 Copy Cat Chick-Fil-A Nuggets| If you are addicted to Chick-Fil-A like the rest of America, then these nuggets are a must make! We end up devouring every morsel when I make them. They are THAT good! Air Fryer Greek Stuffed Chicken Breast | In under 30 minutes you can make this Greek stuffed chicken. It is packed full of those vibrant Greek flavors, and the stuffing inside really gives this chicken the wow factor. Air Fryer Chicken Nuggets| Cut up the chicken breast into nugget pieces and create your own nuggets. Wholesome and a great source of protein, kids will gobble these right up. 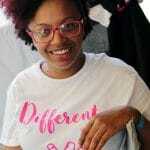 How long do you cook boneless skinless chicken breast in an air fryer? Each recipe is going to vary just a little depending on what all is cooking with the chicken. 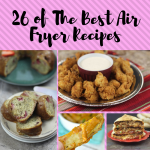 All of these are great air fryer chicken breast recipes to get started, but once you get the hang of things you will be able to determine times on your own. 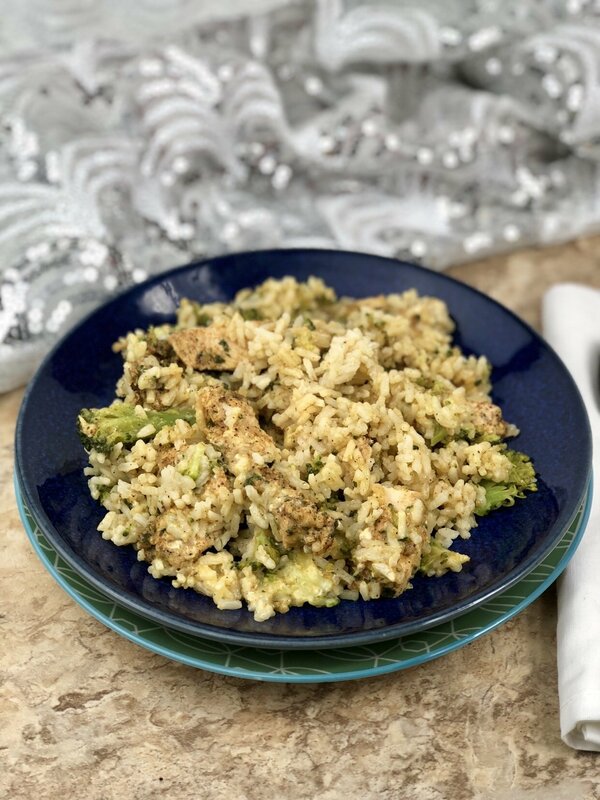 Creamy Air Fryer Chicken Broccoli Rice| This is a creamy one-pot dish that is a total comfort food. Tender pieces of broccoli, juicy chunks of chicken in a creamy and cheesy sauce. A perfect way to entice kids to eat more veggies! Chicken Fajita Rollups| I love the concept of these rollups. You get the same flavors from chicken fajitas but in a whole new way. A great way to make dinner unique and tasty. Coconut Lime Chicken with Rice| Step out of your comfort zone and give this recipe a try. It has a handful of ingredients that work together beautifully to create a one-of-a-kind dish that can’t be forgotten. The coconut and lime paired with the chicken and rice just work perfectly. Air Fryer Chicken Parmesan| You have that crunchy coating, smothered in a tomato based sauce and melty cheese for the decadent chicken parmesan. Pair with a side salad or steamed veggies and you have one savory dinner waiting for you. Air Fryer Chicken Tenders| Cut up your chicken breast into tender strips, batter, and cook for homemade chicken tenders that melt in your mouth. Serve with your favorite dipping sauces. Air Fryer Chicken Breast| If you want to just make a classic chicken breast this is a very easy and simple recipe to follow. Minimal ingredients needed for a flavorful chicken. Air Fryer Fajita Chicken| this chicken fajita Recipes is unique and so savory. Hassle-back your chicken and with each sliver, you add in the peppers and onions. This makes the chicken extra flavorful, trust me it is a must try recipe. Don’t feel you are limited to just a handful of items. With the Air Fryer, you can make a wide assortment of items from cakes, other tasty desserts, side dishes, nachos, appetizers, and even main dishes. I have really begun using my Air Fryer in a multitude of ways and each recipe turns out great. If you are contemplating getting an Air Fryer, I say go for it! If you spend time in the kitchen invest in some kitchen appliances like this to help make life easier. Plus it won’t heat your entire house up as it cooks your food like the oven does.